Finally, I got to making swords! And while I have made several, this one isthe first I have ever made... I almost finished half a year ago, and then I didn´t have time for it, up untill now. It is my personal sword, and it is not a direct replica of any original. It is my own impression of type H. I´ve spent quite a lot of time thinking about what this type means to me, what impression it makes, and what feelings do I have when I look at various examples. The conclusion that I reached was that these swords create, at least for me, a very strong sense of "presence", almost if they bent matter around themselves (no, I didn´t take any drugs or alcohol before writing this :P ) . And so I made this sword. I call him "The Tutor", since he taught me a lot on the way. 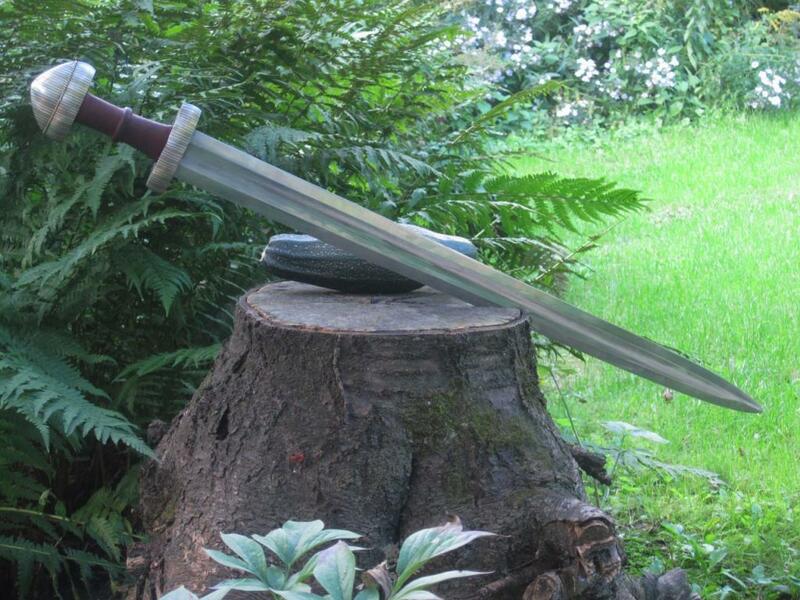 The blade is of spring steel, 70cms long, 5cm wide at the base and 3,7cms wide before the tip. It weights 1390g. Since it is my personal sword, and I like the swords to have their own "pull", I find this weight quite comfortable for my trainings. 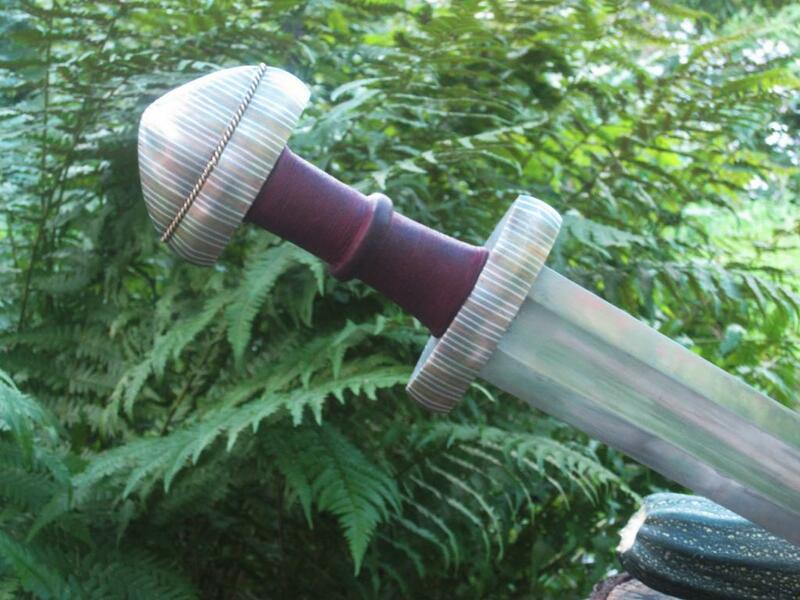 The PoB is 11cms from the guard, and the hilt is silver and brass decorated. The grip length is 8,9cms, so it hugs the hand nicely. 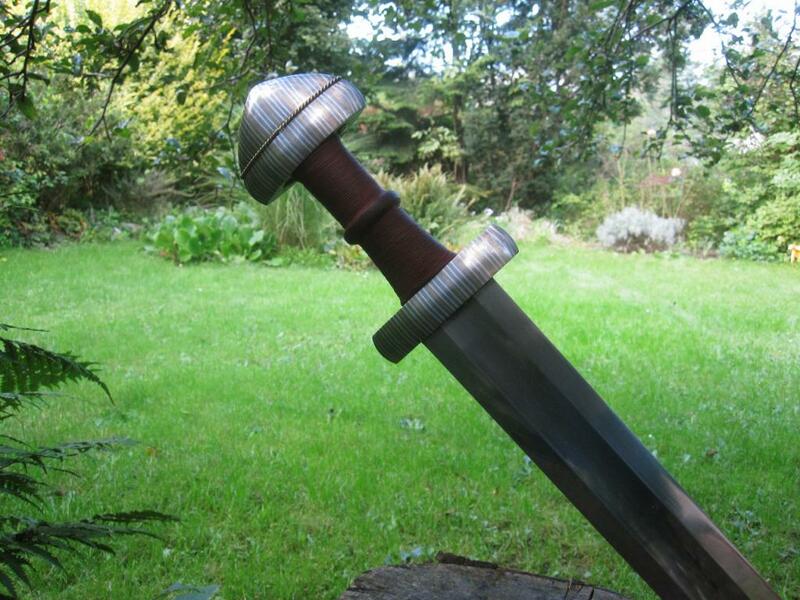 That sword looks superb especially its pommel and guard. And they have 'stripes' too. You have made yourself an outstanding sword! You have embraced the style of these swords really well. Nice volumes, lines and proportions. You can be proud of this sword! Lovely clean inlay and gentle waisting on the grip. A subtle, well-proportioned piece. Thank you gentlemen! I am happy that you like it!